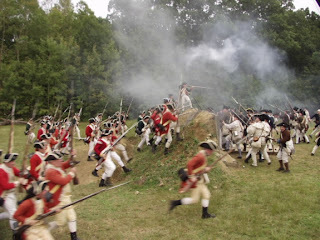 Fort Montgomery State Historic Site will offer a lecture entitled &#8220Samuel Wire and the Cowboys: An Exercise in Research Frustration&#8221 on Thursday, December 1, at 7 P.M. Samuel Wire, a young Dragoon from Connecticut, was on a break from &#8220Hunting Cowboys&#8221 when a door to a small house popped open. The green-clad Loyalist officer who stood in that doorway pointed his firelock and pulled the trigger. Revolutionary War researcher and historian Phil Weaver will detail his discovery of this remarkable story and the winding road he took to document it. You will not only hear the narrative story, but learn who the “Cowboys” were, that chasing leads is not always a linear process, and that historical research can be fun and frustrating. 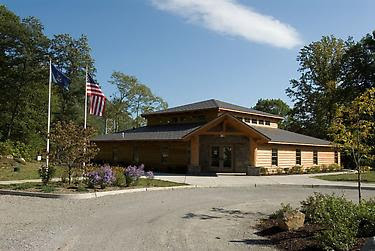 Fort Montgomery State Historic Site is located at 690 Route 9W, in Fort Montgomery, NY. 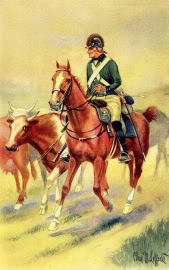 Illustration: A Cowboy depicted in Uniforms of the American, British, French, and German Armies in the War of the American Revolution, 1775-1783, by Lt. Charles M. Lefferts, 1926.